Participating in the first edition of the four-team pre-season event, then known as the Barclays Asia Trophy, Newcastle were included alongside hosts Malaysia as well as Premier League clubs Chelsea and Birmingham City. 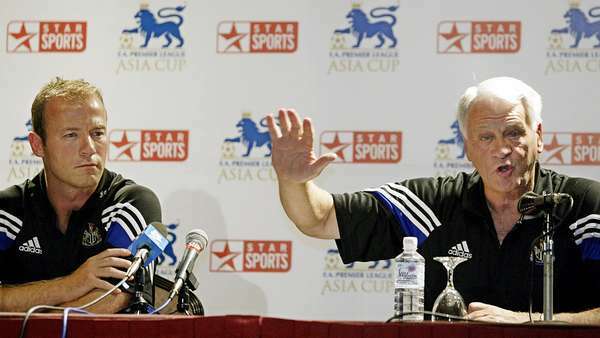 With all games played at the Bukit Jalil Stadium in Kuala Lumpur, Sir Bobby Robson's side were handed a semi-final draw against Birmingham, managed by Newcastle-born Steve Bruce. Playing in the scorching July heat in Southeast Asia, the Magpies progressed into the final following a tight 2-1 triumph over the Blues in the last four tie. United captain Alan Shearer opened the scoring with a first-half penalty after Blues defender Kenny Cunningham was sent off for a mistimed tackle on Craig Bellamy, who was played through on goal by debutant Lee Bowyer. Despite the extra man, Newcastle were pegged back after conceding a spot-kick of their own, with Paul Devlin netting from 12 yards but, two minutes after conceding, United restored their lead through Shola Ameobi, as the forward's late header from Bellamy's cross set up a final showdown with Chelsea. Despite suffering from heat exhaustion the previous evening, Shay Given was in tremendous goalkeeping form in the final as Chelsea were unable to find a way past the Irish shot-stopper in a goalless 90 minutes. In the sudden-death shoot-out, Alan Shearer and Laurent Robert were unable to convert but United remained in the contest as Given kept out spot-kicks from future Newcastle midfielder Damien Duff and Jimmy Floyd Hasselbaink. After 14 penalties in total, it was Jermaine Jenas who eventually missed for the Magpies, with the 20-year-old's audacious chipped spot-kick floating over the bar to hand the trophy to Claudio Ranieri's Blues.